The skies of the Square Mile are getting increasingly crowded. The latest addition will be called 1 Leadenhall, following the rule that all new buildings must be 'number 1' of somewhere or other. 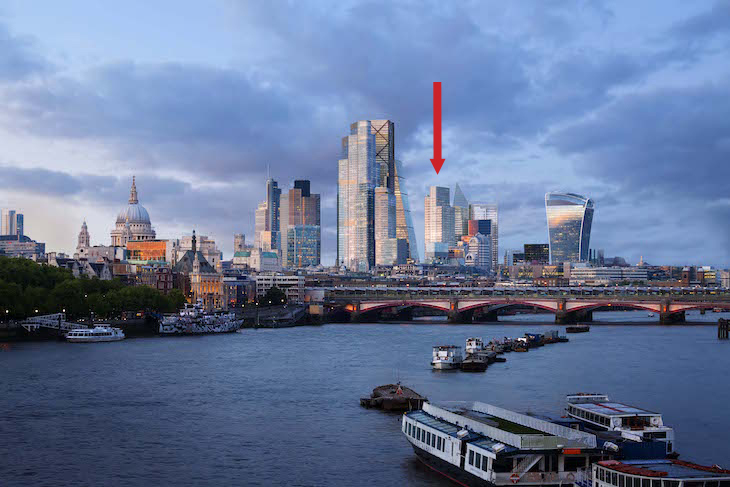 The 37-storey tower would once have looked pretty lofty, but sits short and sober among soaring neighbours such as the Cheesegrater and up-and-coming 22 Bishopsgate. 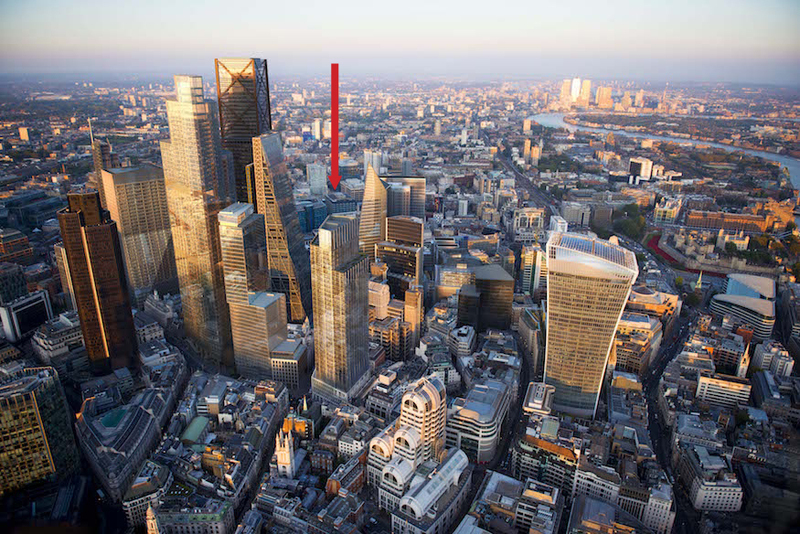 1 Leadenhall indicated by an arrow in this depiction of the future skyline. Several other buildings shown are still under construction or planning. Note how the Gherkin — once the City's second tallest building — is now completely hidden from the west. It might not shout and scream like some of its peers, but 1 Leadenhall has an ace up its sleeve that should help it stand out. The building will contain a free public viewing gallery, allowing visitors to look down onto the roof of Leadenhall Market, or out towards Westminster. 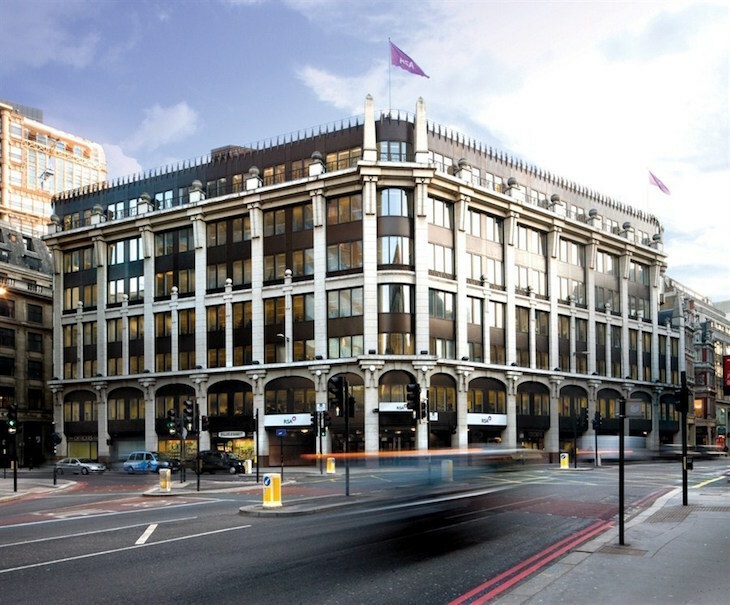 Construction will require demolition of this existing postmodern low-rise, on the corner of Leadenhall Street and Gracechurch Street. 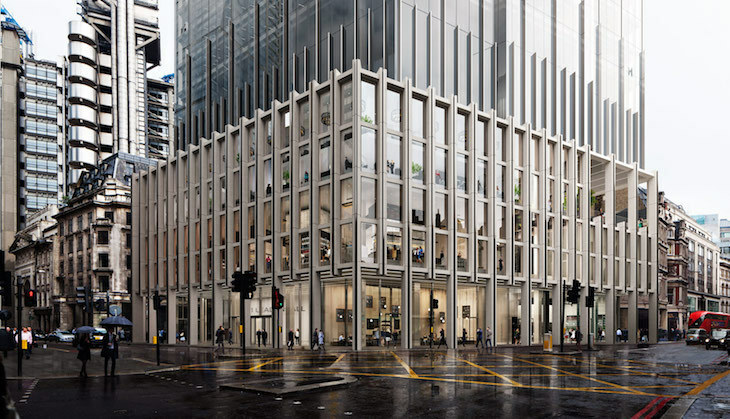 1 Leadenhall has now received planning permission from the City of London. If nothing else, the location should prove fruitful for archaeologists. The site is right on top of the ancient Roman Forum, the biggest building in Londinium.